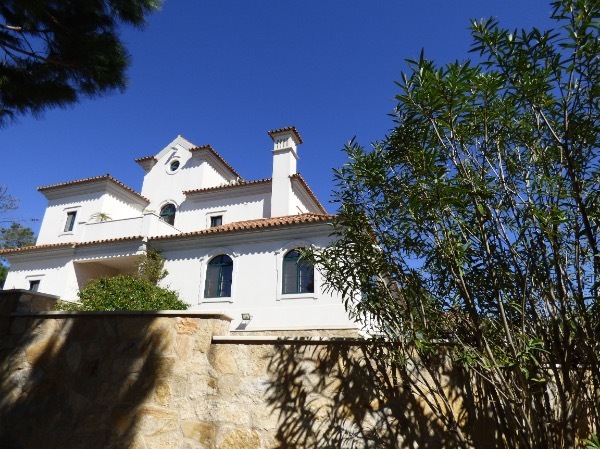 This exquisite, large, luxury villa is of the highest specification and located in a very sought after, private and secluded cul-de-sac in the premier resort of Quinta do Lago. Just moments to all that Quinta do Lago has to offer including the Watersports Lake, 4 golf courses, sandy beaches, tennis centre, horse riding, spas, gyms, Counry Clubs, restaurants, bars, Quinta Shopping etc. Coming through the bespoke electric gates and up the winding drive, you will realise that you have arrived at a quite exceptional, holiday villa. 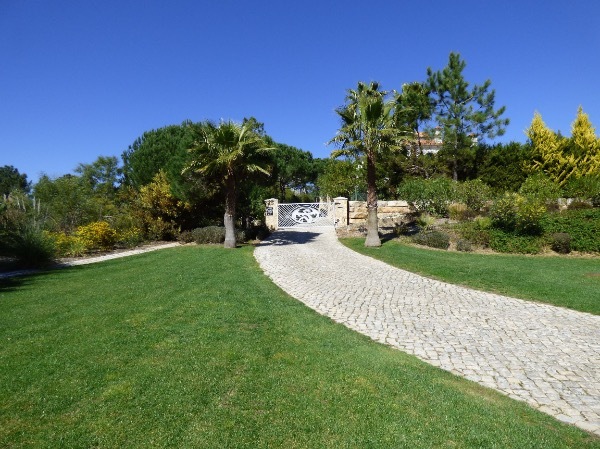 Surrounded by well manicured, landscape gardens, the Villa sits in a prominent, South facing position overlooking the umbrella pines and golf fairways of Quinta do Lago. 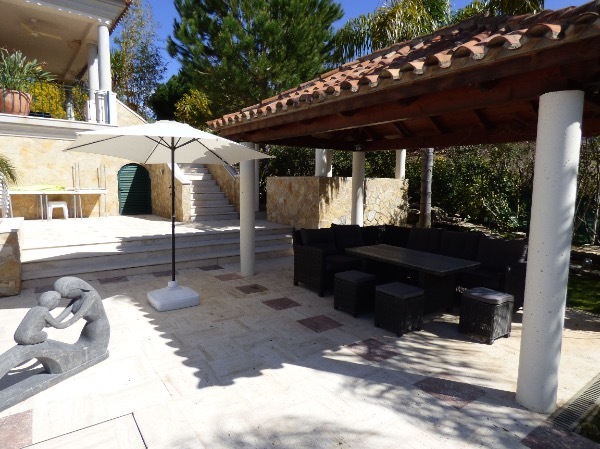 Upon entering the Villa you will be struck by its generously proportioned accommodation throughout. Spacious reception rooms and fabulous bedrooms all with large patio doors allowing the sunlight to flood in and affording beautiful views from almost every room. This Villa was built for holidays and entertaining - not only due to its size - but also due to the many facilities on offer. These include:- great outdoor entertaining / relaxing areas on all levels; Sonos Music system available in most rooms, the garden and veranda seating area; outdoor kitchen and dining area; superb, large, heatable swimming pool with electric cover; purpose-built cinema room; party / leisure / games room with pool table, bar, vintage video game unit. 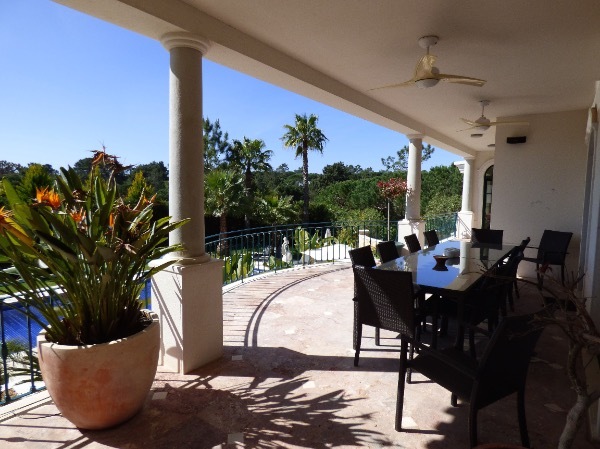 Furthermore, the Villa is ideally placed for many sporting, relaxation and entertainment options. Use the Road Legal Golf Buggy provided to have a round of golf on the new remodelled Quinta North Course - directly accessible from the Villa through the buggy gate. Stroll to the Watersports Lake for a relaxing lunch at Casa do Lago - followed by a gentle canoe round the lake. The Villa has many benefits including insect screens, air conditioning and under floor heating, heatable pool with electric cover, making it an ideal family or friends holiday villa at any time of the year. Close to restaurants, bars, beaches etc. Party Room with bar, pool table, vintage games console etc.